We’re determined to make this month a “Souper” September! 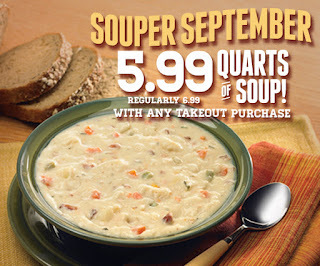 That’s why we’re offering quarts of soup for only 5.99 with any takeout purchase, now through September 30th! Hurry in soon - "Souper September" ends on Saturday, September 30th!